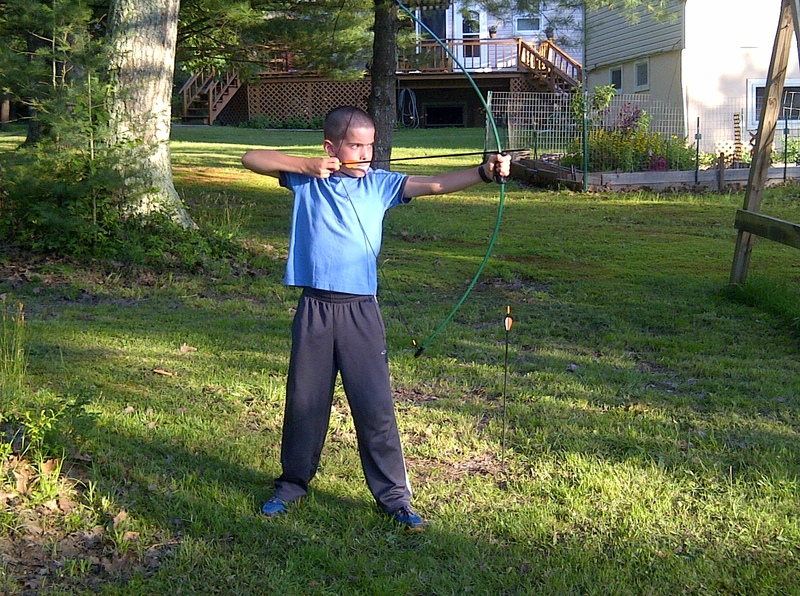 I always liked Archery so I was so happy when my mom and dad gave me a bow and arrow as a surprise present for working so hard this past school year. 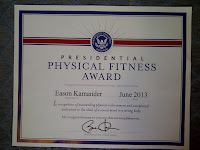 I earned the Presidential Physical Fitness Award. 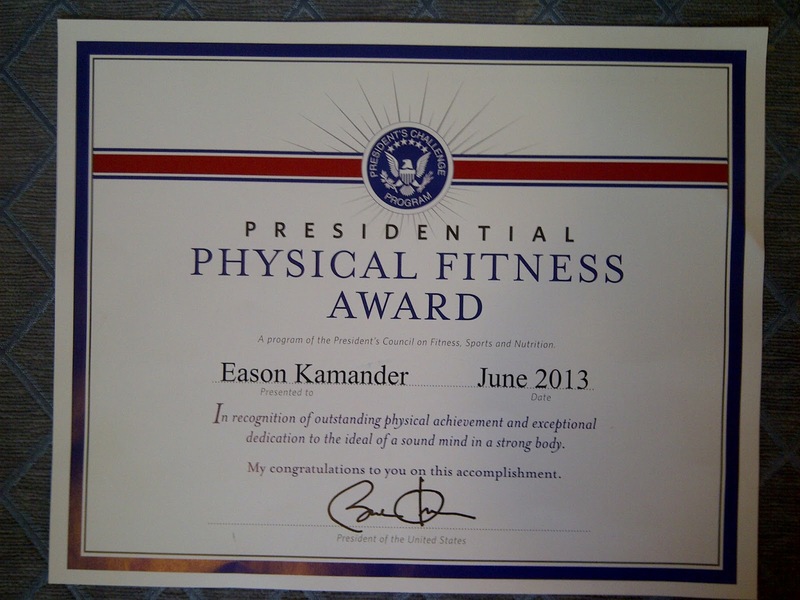 It was no big deal. 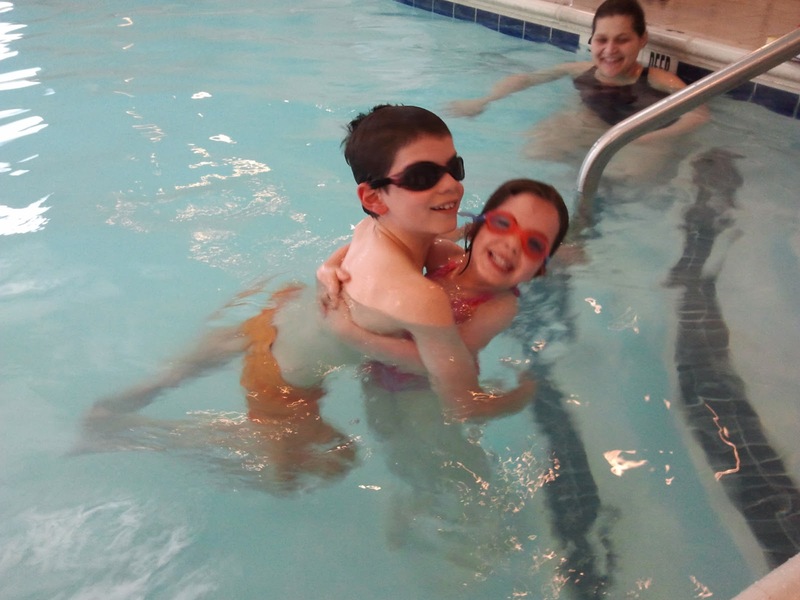 Swim classes with Illeana really paid off. 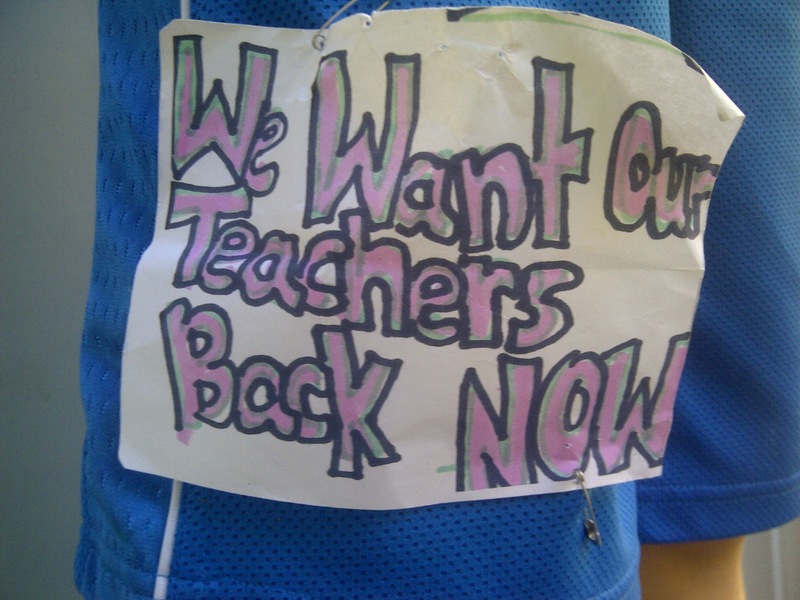 After our teacher was reassigned one of my classmates made this "We Want our Teachers Back Now" badge for a Board of Education meeting. I wore one to school. Luke, Austin, Alexandra, Imogen, Logan. 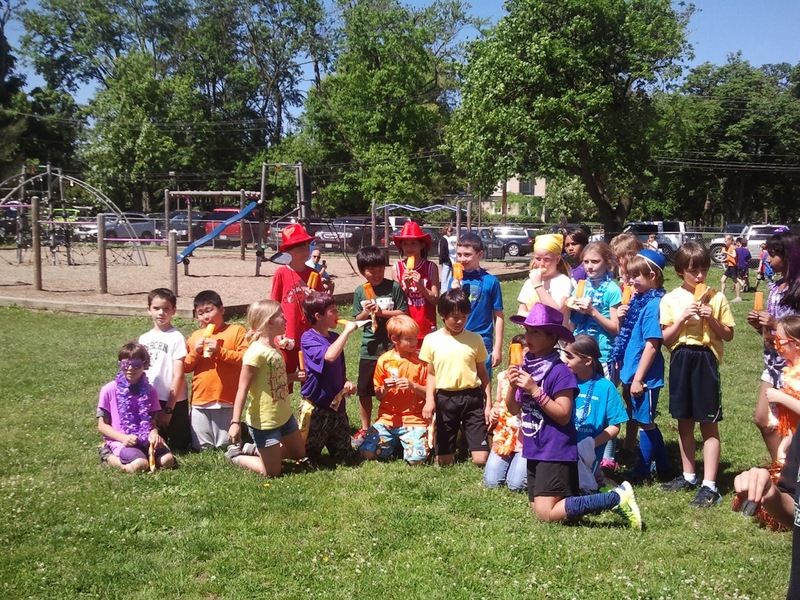 On June 6 our district Youth Advocate, Mrs. Low, came to our class for the last time and we did our only outdoor activity. We had a task of getting from one side of the ocean filled with sharks to the pure gold island, and all we had was 3 long boards (like the one we're holding in the picture) and 9 milk crates. We couldn't stand in the ocean or allow the boards to touch the water. Right away I had an idea. 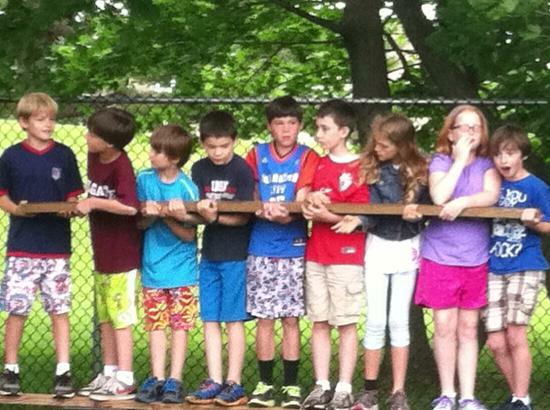 We had our 4th grade field day. It's a lot like color war and the teams are colors. First we did a very loud cheering contest. Then we had a person to person hockey shooting tournament. Next we did a football throwing contest and a bowling game. We left the gym after a game of Hula-Hut Take Down. Then we had an even louder cheering contest, which became just one huge scream. Then we ran, jumped, and threw ten relays. We finished off with a tug-a-war tournament. The loudest screaming of the day and popsicles.